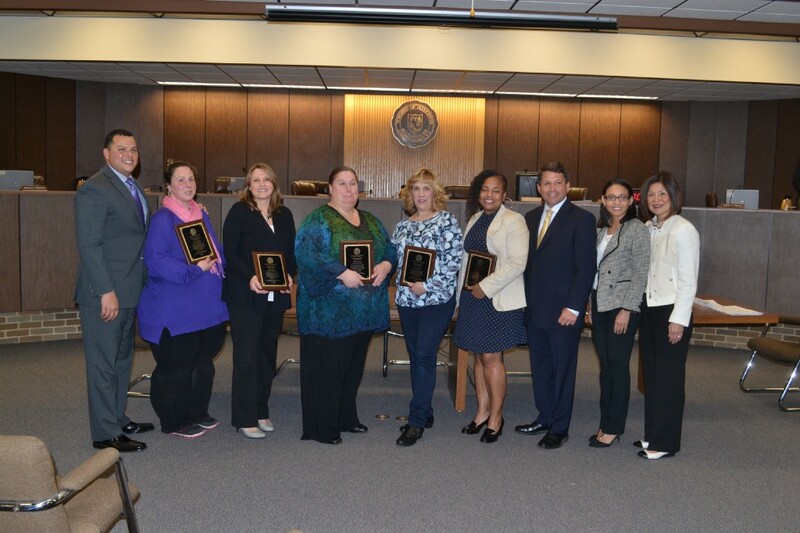 Gloucester Township Council recognized seven women active and valuable to the community on Monday. On Monday, March 27, before calling any of the honorees up to accept their award, Mayor David Mayer honored 13-year-old Tory Kenuck with the township’s first-ever Wild Life Advocate Award. During the summer of 2015, Kenuck discovered her passion for sharks and the role they play in the ecosystem. She has actively spoken out against the use of sharks in products such as shark fin soup, non-fossilized shark teeth and certain types of leather. As apex predators, their endangerment could disrupt the ecosystem. “Without [sharks], it would destroy the oceans as we know it,” Kenuck said as she accepted her award. Kenuck attends Glen Landing Middle School. Next, the board handed out its Women’s History Month awards. The recipients were called up one by one as their accomplishments were read. Judy Guido was recognized for her extensive involvement in the community. Serving as a Girl Scout troup leader and a member of the PTA and other committees for several schools, Guido helped form the Special Parents and Kids Network in 2013. The network holds many events and functions for children with disabilities, such as dances, pool parties and karate classes. Guido encouraged attendants to volunteer. 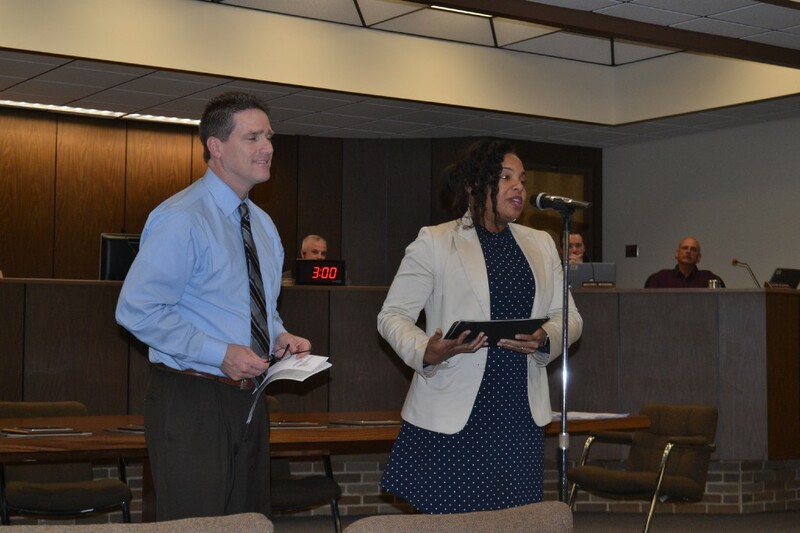 Kasha Giddins accepted her Women’s History Month award. Now the principal of Timber Creek High School, Giddins has worked in public schools most of her career. Kasha Giddins has been involved with public schools for much of her career. She returned to her alma mater Highland Regional High School as an aide after graduating college. Since then, she has moved up to be the principal of Timber Creek High School. Donna Romond was nominated for serving as a guiding voice and counselor to students at Triton Regional High School — despite that not being in her job description. She has worked for the Black Horse Pike Regional School District since 1998, and serves as the principal’s secretary. 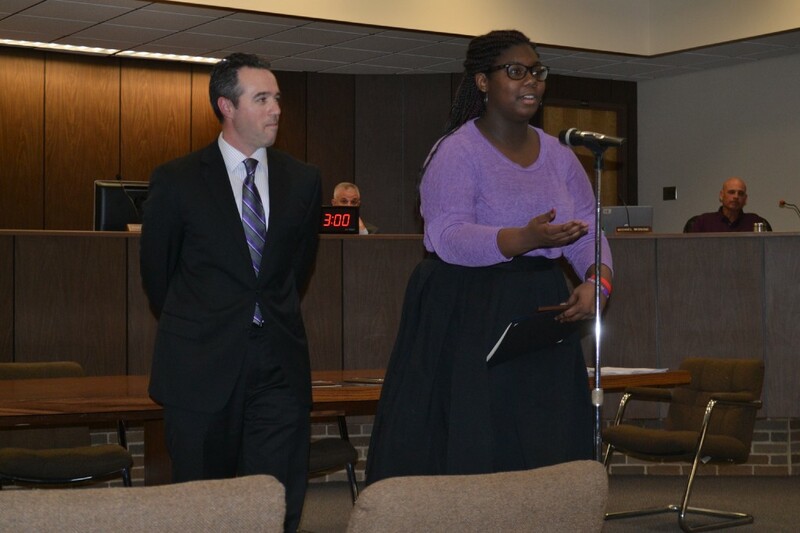 Azana Washington, a junior in high school, accepted her Women’s History Month award. Washington started off the meeting by singing the National Anthem. She was recently accepted into Benedict College with a $30,000 scholarship. The next two women presented brought their musical talents to the meeting. A high school junior, Azana Washington, started off the meeting by singing the National Anthem. Washington was accepted on site to Benedict College with a $30,000 scholarship, and recently received an award of excellence from the National Academy of Future Physicians and Medical Scientists. Washington had to leave early to attend the choir club. While receiving her award, she was promised a spot singing the National Anthem at the township’s Field of Dreams this upcoming season. Next, Anneliese DeFinzio from Highland Regional High School performed the song “Tomorrow” from her school’s production of “Annie,” in which she played the titular role. 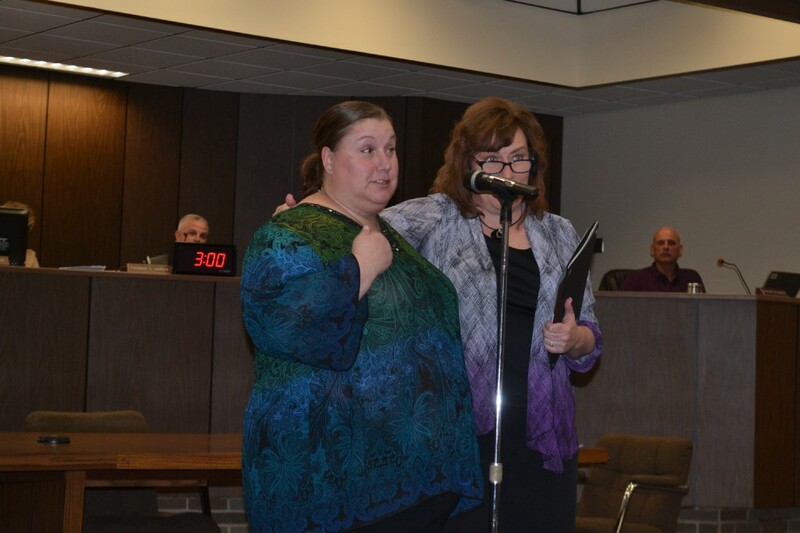 Kelly Matthews was honored for her extensive volunteer work around the township. She voluntarily serves as the chairperson of the Juvenile Conference Committee, which mediates with juveniles before they go to the juvenile detention center. She is also the chairperson for the Gloucester Township Housing Authority, where she assists seniors and low-income families with affordable housing opportunities. Humble, Matthews did not tell her mom, fiancé or son she was being honored. Not one for the spotlight, Jennifer Woods nonetheless accepted her Women’s History Award humbly. Woods prefers to stay behind the scenes, but her reach in the community is extensive. Jennifer Woods was nominated for her work with the Glendora Little League, where she’s served as president, vice president, secretary and is now treasurer. Woods said she prefers to stay behind the scenes like Matthews, and also did not have her family attend the meeting. “If you ever need help, just come see me,” Matthews said to laughs. Lisa Roberts was honored for her work as an English language-learning teacher at Triton Regional High School. Students from all over the world are welcomed into her classroom every year. Roberts was unable to attend the meeting.